ICDHS is an international research community that focuses on design history and design studies. The first meeting of ICDHS was held in Barcelona in 1999. The committee was established in 2002 at Istanbul meeting right after La Havana in 2000. In addition, the international conference, which is held every two years in different countries, may lead to an increase of cross-border knowledge exchange. Research topics of ICDHS are divided in four aspects: Design History, Design Policy, Research of Design Practice and Theories/Issues that are related to Design. Each aspect would be discussed and challenged. ICDHS hopes to explore the knowledge of design in the past, present and future more profoundly. Through international conference, ICDHS aims at building a communion of researches and a network of researchers. Start from a thorough look on critiques of design history and a continuous improvement of contemporary design, ICDHS tries to explore how design stands in a human’s life and future. An international conference benefits a newborn of research and a further look in cross-field cooperation. Also, an exchange of design theory, design methods or design tools would draw an outline of future development. Since 1999, IDCHS had held nine conferences in Barcelona (1999), La Habana (2000), Istanbul (2002), Guadalajara (2004), Helsinki-Tallinn (2006), Brussels (2010) and Aveiro (2014). Over hundred of participants from all around the world, even more than two hundreds in Brazil (2012), had joined the conference. It came out that each conference resulted in a significant and influential achievement. At the beginning of 2014, ICDHS 2016 Taipei won the bid. 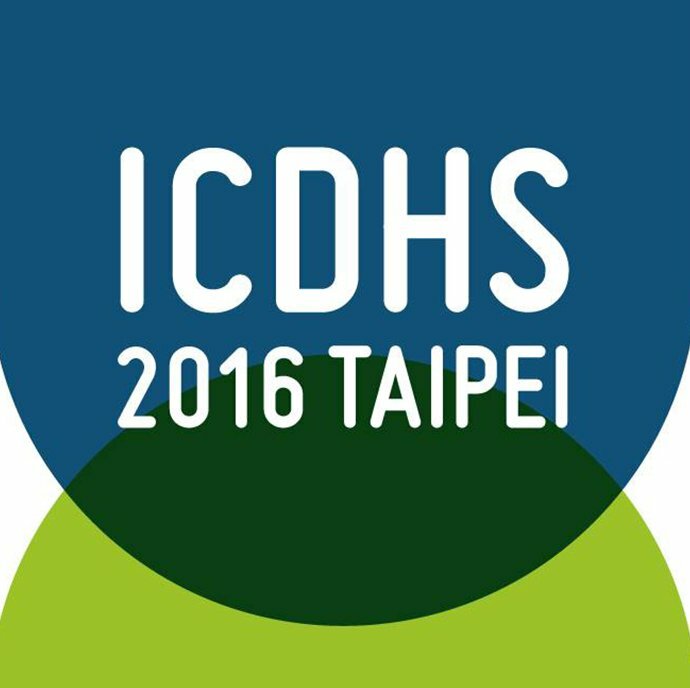 In July, the ICDHS committee and ICDHS 2016 Taipei had a framework and met up in Europe while later the ICDHS committee officially authorized ICDHS 2016 Taipei as the host of the tenth ICDHS international conference. It’s a great honor that Taipei become the second cities in Asia chosen by ICDHS since the one in Osaka, 2008. In this upcoming event, designers and researchers around the world would join the feast. Hopefully, the awareness of design history and design performance in Taiwan would drastically boost by the event. Furthermore, ICDHS 2016 Taipei is expected to inject vitality through discussions and debates. Taiwan’s culture is a fascinating mixture that is the result of multiple colonisations by the Dutch, the Spanish, the Qing China and Japan. The modern consciousness of ‘Taiwaneseness’ emerged during the Japanese rule, and has been the most pressing political and cultural issue up until the present. Westernisation and Modernisation imposed by Japan are also characteristic features of the colonial modernity of Taiwan, and its unique case of double colonisation has captured the interest of current colonial studies. With its rich layers of colonial history, international politics and search for identity Taiwan makes an excellent backdrop for contemplating and debating the issues of Design History.